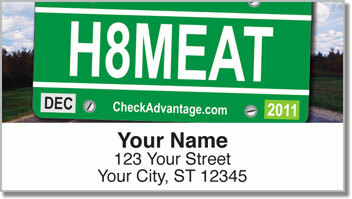 One of our family's favorite ways to pass the time on long road trips was to look for unusual license plates and try to figure out what they mean. Then we'd try to guess what the person behind the wheel was going to look like before we zoomed past them in the left lane. Sometimes we're dead-on and other times we're completely surprised - but we always have a laugh! 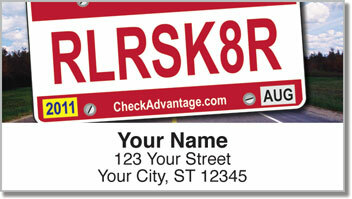 License Plate Address Labels from CheckAdvantage are a unique way to mark your letters and packages. After you figure out what each of these mean - you can send the puzzles to everyone on your mail list. Need help figuring some out? Hit us up on Facebook and we'll fill you in! 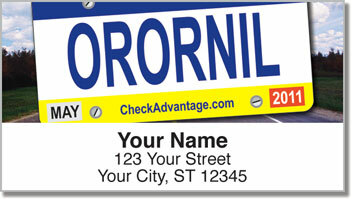 Get your own License Plate Address Labels now! 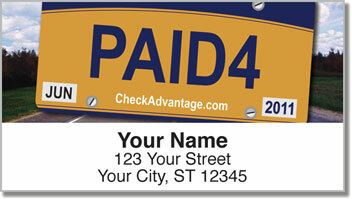 They also come in matching personal checks!